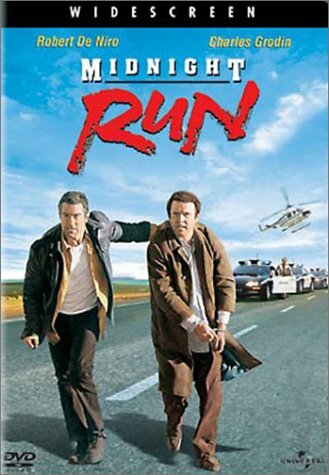 Remember that eighties action comedy "Midnight Run", starring Robert de Niro and Charles Grodin as a bounty hunter and his target, respectively ? Well, the good new is that it won't be remade. The bad news is that it's going to get a sequel. I can't imagine how that will work 24 years later, but I suppose we'll have to hope for the best. A first draft of the sequel's script was written by Timothy Downling ("Knight and Day") and will be rewritten by David Eliott and Paul Lovett ("G.I. Joe: The Rise of Cobra"). The story will involve De Niro reprising his role alongside a young actor for maximum comic effect. In recent updates it seems that Brett Ratner ("Tower Heist", "Rush Hour") is in negotiations to direct. Director Martin Campbell ("Casino Royale") looks to recover from his "Green Lantern" flop with a new diving project, eloquently titled "The Dive". The movie, previously intended for James Cameron to direct, tells the true story of freedivers Francisco Ferraras and his wife Audrey Mestre. Mestre died during an attempt to beat her own world record of 557.7 feet. In case you're wondering, freediving is a sport where you dive without any additional source of oxygen other than what you can accumulate in one deep breath before diving. J. Michael Straczynski ("Changeling") will write the script. A new Nelson Mandela biopic called "Long Walk to Freedom" starts filming in May. The movie will star Idris Elba ("The Wire") as Mandela and will be directed by Justin Chadwick ("The Other Boleyn Girl"). Jake Gyllenhaal is in negotiations to play a dual role in the thriller "An Enemy", a movie directed by Denis Villeneuve (Oscar Nominated Foreign Film "Incendies"). The story, based on the novel "The Double" by Jose Saramago, follows a dysfunctional history teacher who accidentally discovers his exact double on a rented DVD, seeks him out and ends up turning both of their lives upside down. Villeneuve is also working on the vigilante thriller "Prisoners" (opens November 2013) starring Hugh Jackman. "Prisoners" will be about a small-town carpenter named Keller (Jackman) whose young daughter and best friend are kidnapped. After the cops fail to find them, Keller takes the law into his own hands, but in the process runs up against the big city detective assigned to the case. The Teenage Mutant Ninja Turtles return to the big screen in a new live-action movie. Producers Michael Bay, Brad Fuller, and Andrew Form, the creative (yeah, right) trio behind such "classy" horror remakes as "Nightmare on Elm Street" and "Friday the 13th" will bring forth this reboot of the beloved mutant turtles' adventures. But wait, according to Michael Bay, the turtles will no longer be mutants but aliens : "When you see this movie, kids are going to believe, one day, that these turtles actually do exist when we are done with this movie. 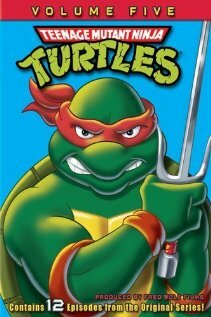 These turtles are from an alien race and they are going to be tough, edgy, funny and completely lovable." You can imagine the outrage this statement unleashed worldwide. Bay's reply to fan anger was simple :"Take a breath and chill". Regardless of your feelings, the movie will be directed by Jonathan Liebesman ("Battle: Los Angeles") and is scheduled to open on December 25, 2013. The script will be written by Josh Appelbaum & Andre Nemec ("Mission: Impossible – Ghost Protocol").